The Asian Venture Capital Journal (AVCJ), Asia's leading source for news and information on private equity and venture capital, cordially invites you to the 4th Asian Private Equity & Venture Forum in Korea. 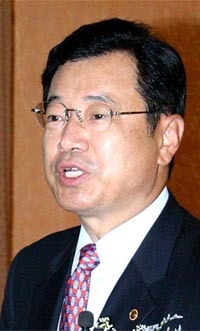 South Korea's 2006 GDP growth was about 5%, higher than the 4% growth in the previous year. The Won has risen to a nine-year high and Korea economic growth is likely to have a rocket skywards boosted in coming years. In the wake of rising concern that the country is inhospitable to foreign investors, Seoul is making earnest attempts to alley mounting skepticism towards its commitment to foreign capital. In recent years, South Korea has introduced numerous new economic polices, regulatory and other changes. Substantial progress has been achieved and Korea now possesses a far more diverse and open economy with more foreign involvement and investment than ever before. As a result, there has been an increase in interest from new breed private equity investors. From the traditional chaebol-links venture capitalists to the new independent local buyout funds and institutional investors, the private equity industry in Korea is looking stronger than ever. Together with their foreign counterparts, many partnerships are formed that is ushering in the re-emergence of Korean private equity. The 2007 Asian Private Equity and Venture Forum - Korea will create grounds for exciting discussions between local and foreign GPs with very timely topics like buyouts and growth capital. It will also create an opportunity to find out more about International private equity companies and catch up with local friends. In addition, our keynote speaker, MR. JOSEPH L. RICE III, Founder & Chairman, Clayton, Dubilier & Rice, Inc and MR. HYUN JAE LEE from SMBA will share their unique insights and experiences garnered from the leading edge of Korea's advance.